Holy Moly! What a fun, yummy recipe that y’all have to try! 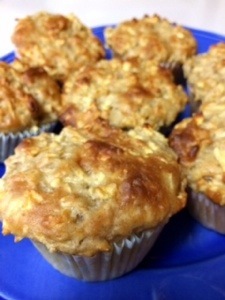 These are great for a light breakfast and snack because they are only 165 calories a muffin! i. Preheat oven to 375* F. Line a muffin tin with muffin/cupcake liners. ii. Peel and grate the apples. Blot the shredded apple on paper towel to get rid of excess moisture and set aside. Should make about 2 cups worth. iii. 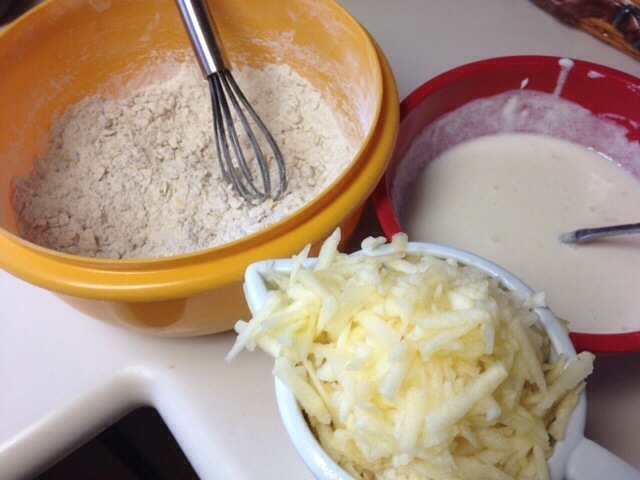 Place flour, oats, brown sugar, baking powder, baking soda, salt, and cinnamon in a large bowl and mix with a whisk. iv. Combine milk, oil, vanilla, yogurt, and egg whites. Stir until we’ll blended. v. Combine wet ingredients to the flour bowl and add the apples. Mix with a wooden spoon. vi. 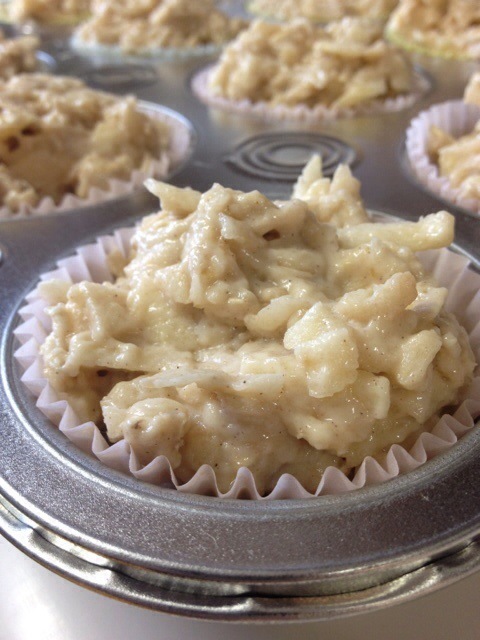 Spoon into muffin tin and bake for 20-25 minutes. Makes 12 muffins. This entry was posted in Family, Food, Healthy, Uncategorized and tagged apples, baking, breakfast food, cooking, family, food, fun, healthy, low calorie, recipes, snack. Bookmark the permalink.